Radiation therapy is a treatment modality in which high-energy radiation is applied onto the specific body area in order to kill cancer cells. In treatment for cancers several rays are used and they include X-rays, gamma rays and charged particles. This is an essential part of treatment for many types of cancers. Radiation therapy can be in a form of teleradiotherapy and brachytherapy. In teleradiotherapy (external-beam radiation therapy) the radiation is delivered by a machine outside the body. On the other hand, brachytherapy (internal radiation therapy) includes administration of radiation via materials which are inserted into body cavities or the source of radiation is placed right into the malignant tumor. There is one more form of radiation therapy and it is called systemic radiation therapy. It included radioactive substances that travel in the blood and kill particular cancer cells. 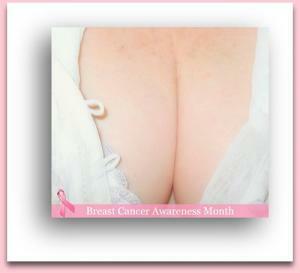 Almost every woman suffering from breast cancer undergoes radiation therapy. This treatment modality may be applied prior or after the surgery and this is why it can be classified as neoadjuvant or adjuvant. Radiation therapy is generally applied after lumpectomy and mastectomy. After the surgery a woman may undergo chemotherapy and what follows is radiation therapy of the rest of the breast tissue. In some cases (if axillary lymph nodes have been infiltrated by cancer cell) even axillary region is included in a field of radiation. The goal of radiation therapy after lumpectomy or mastectomy is to sterilize the surrounding tissue and kill all the remnant cancer cells in the particular area. Further radiation therapy is applied in case the tumor is too large and it needs to be reduced in size prior to the surgery. It is also performed on inoperable women (women who cannot undergo surgery due to comorbidities) and those suffering from inflammatory type of breast cancer. Even women who refuse to undergo surgical removal of the tumor must be treated with radiation therapy of the affected breast. Radiation therapy is used in cases of, progression of breast cancer. Bone metastases which are common for advanced stages of breast cancer are treated with radiation therapy. And finally this treatment modality can be also applied in cases of brain metastases. The very treatment is painless. Still, there are several side effects and they include redness, discomfort and dryness of treated area. These side effects are treated during treatment or a doctor opt for a short pause in treatment until the skin recovers. Women who undergo radiation therapy due to breast cancer may feel fatigue. This side effect usually fades away a month after the treatment ends. In some cases radiation therapy may reduce number of certain blood cells. However, this side effect is generally associated with chemotherapy. And finally, the treated breast tissue may change and become fibromatous which makes the treated breast harder comparing to the healthy one.